Purpose: Teach to protect the football. Most youth teams don’t have access to a tunnel as pictured below, but you can make two lines of 5-6 players in each with a small path between them. 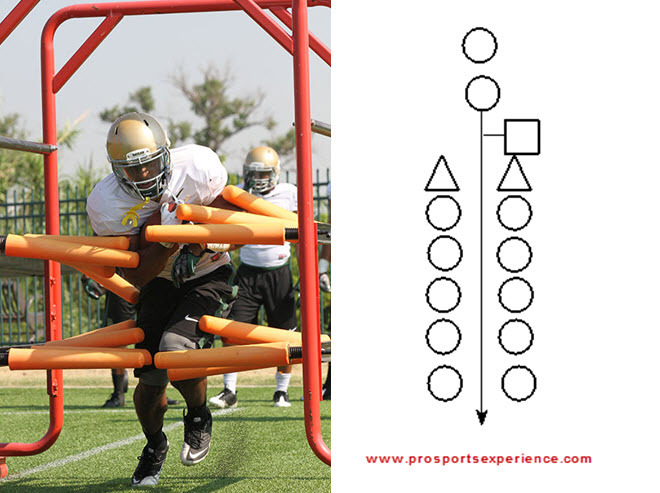 The quarterback will hand the football off to the running back whom will then sprint into the tunnel (path between the two lines), securing the football with both arms. Players in line should try and strip the football as the running back runs through the tunnel. Running backs should maintain a low center of gravity; shoulders down and knees up. Coach should switch sides so running back practices taking hand-offs from both sides.